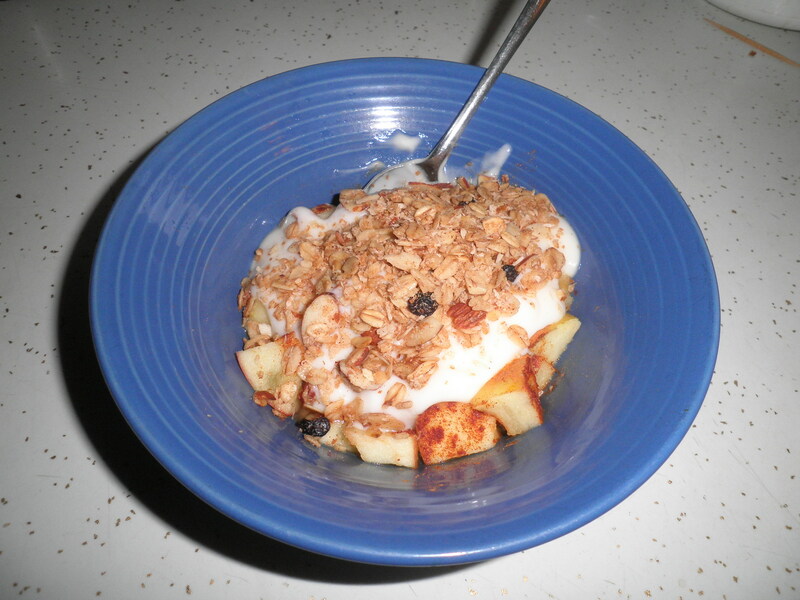 An apple topped with cinnamon, micro-ed for 1 minute and topped with 1/3 cup of fat-free vanilla yogurt and granola. Great breakfast! 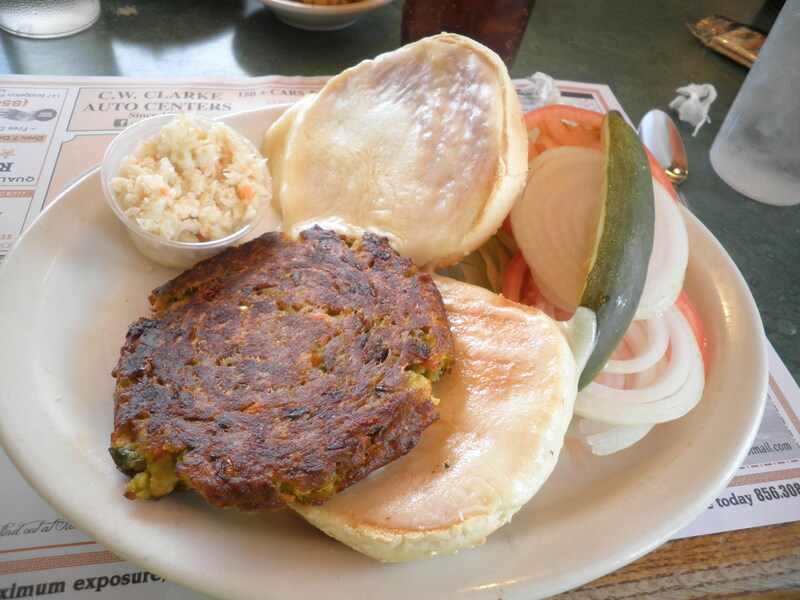 A veggie burger at our favorite diner. I’ve never had one there before and with the provolone cheese added…Delicious! We went to the Golden Corral before everyone went off to Maine for the summer. I confess that I had TWO plates from the salad bar, but No dessert so I was pretty proud of myself! I like to make different combos and when I go back for my second serving it rarely looks like the first. These photos prove my point! Saturday brought two splurges. 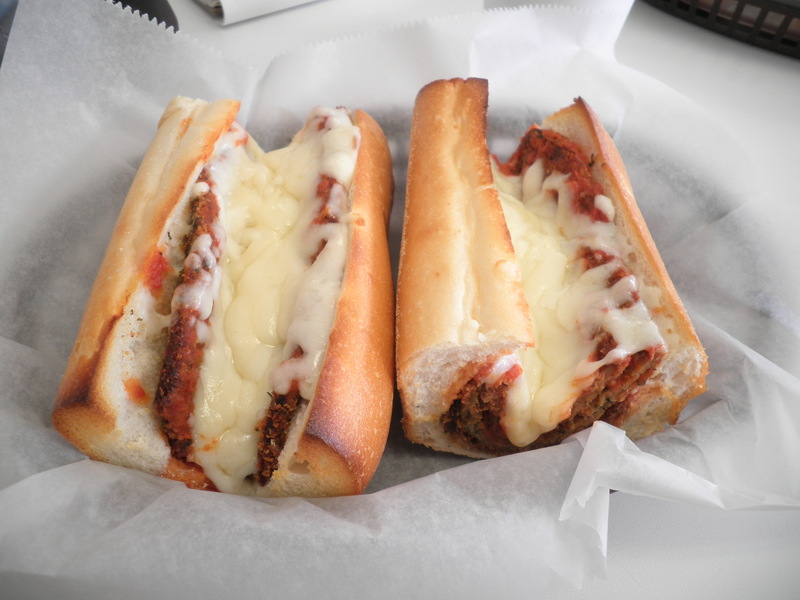 This was the first-eggplant parmesan sandwich at our favorite pizzeria. This was so good. I had been thinking about this and knew that when Ralph asked where we should go for lunch on Saturday that this would be my choice. I’ve never had it here before and it lived up to my expectations! Don’t get excited…only the one on the right is mine! Butter almond and caramel apple combo. So good. Ralph’s cherry water ice was such a pretty color I decided it needed to be in the photo also. Ok…Splurge over! Sunday found us at the Other pizzeria in town. I’ve had this before and I really enjoy it. 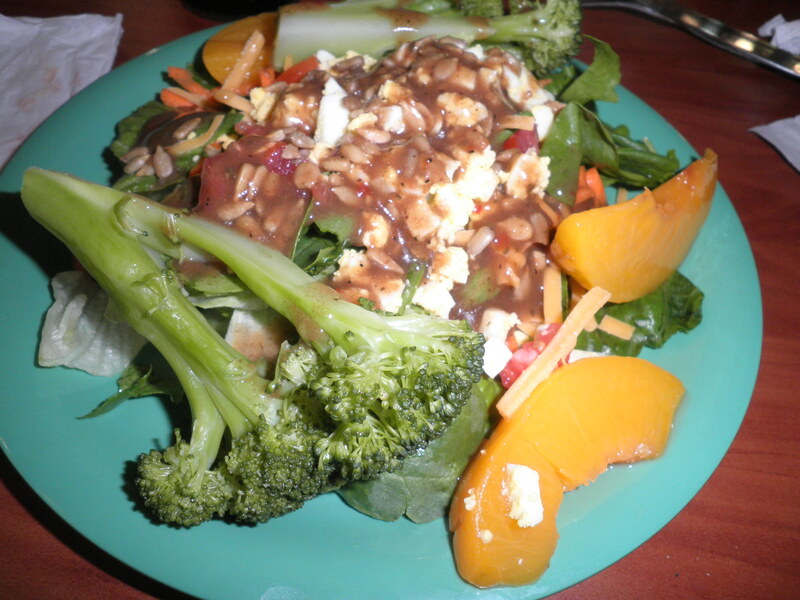 The veggies are what they offer as a side with meals. I ask for it over penne pasta and it’s so good. I always get a second meal out of it, too. You’ll see that in a minute. 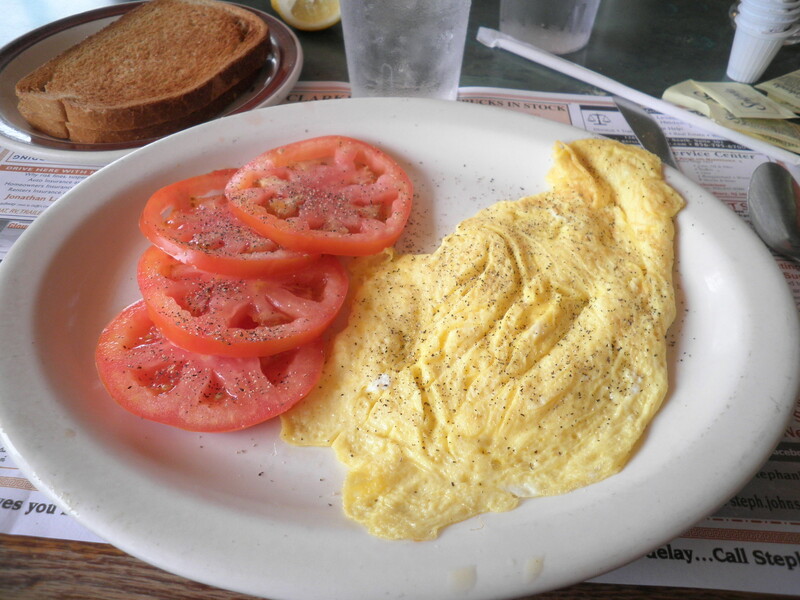 Simple and good…two eggs scrambled, sliced tomatoes and dry rye toast which eventually gets some jelly on it. 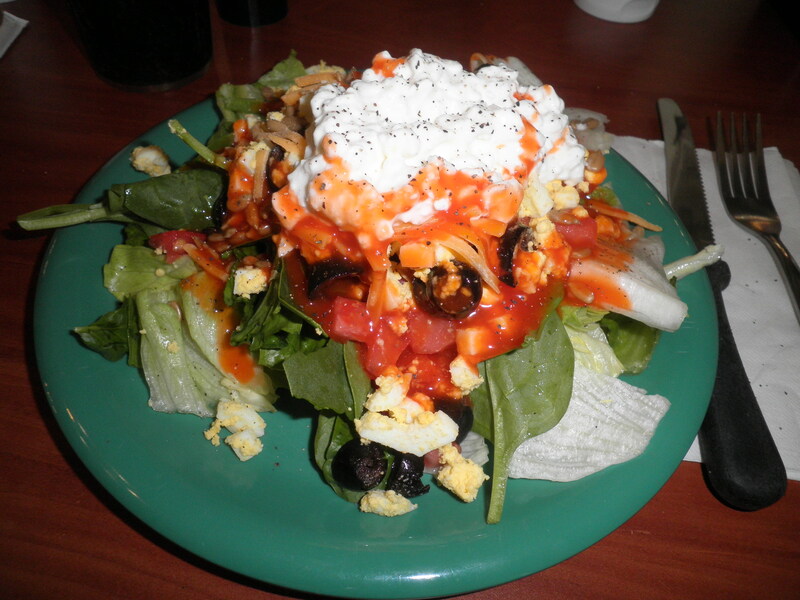 This is a great breakfast because it’s easy for me to count on Weight Watchers and it’s Good! Take Two for my pasta dinner from Sunday. I had three Roma tomatoes left that needed to be used up. Chopped them, added garlic powder, ground black pepper and dried basil. Cooked them in the micro for a minute and 30 seconds. Then added the leftovers cooked for about another minute and 30. 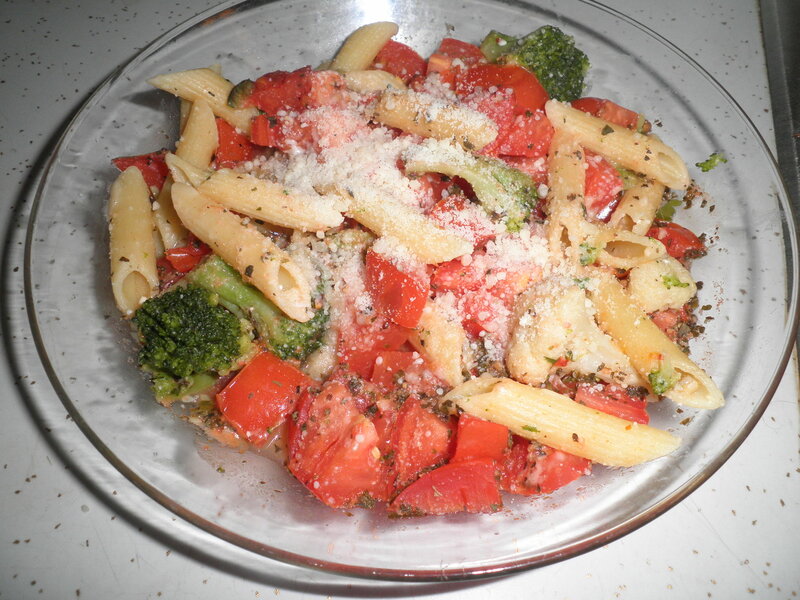 I topped with romano cheese and called it dinner…Couldn’t Be Quicker! I love when a small amount of left overs can be stretched into a meal. This was so good and just right! That’s WIAW for me for today. Be sure to stop by Peas & Crayons to visit, look around at all of the great food being offered and of course, leave some comments! This entry was posted in Uncategorized and tagged Couldn't Be Quicker, Weight Watchers, WIAW. Bookmark the permalink. Liz, it’s so good with the apple!! The pasta was really good and I get two meals…I’m SO cheap! Have a great day! i looooove microwaved cinnamon apple. love you quick meals + leftover ideas. Tee hee…you crack me up! I can’t wait! Going outside in a minute!! Hi there! The salad bar is the place to be at a buffet, in my opinion!! 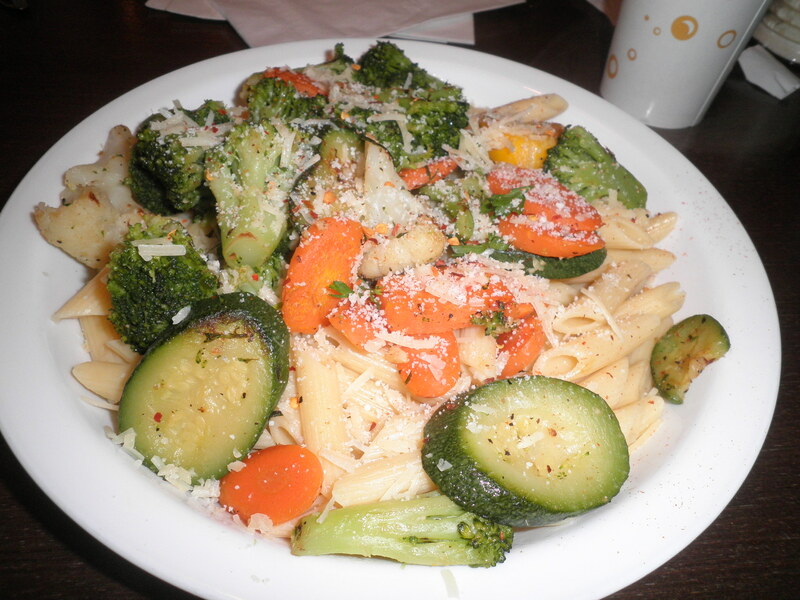 That pasta is so good, I want it again! Have a great day! And what great food photos they are! Now I’m hungry! Thanks, Nutshell! I love to make people drool1! Ok, I shouldn’t be reading this when I’m hungry. Glad you splurged on the ice cream. We all need treats every once in a while! Stacie, do you mean you want to eat something on my post?! 😉 That happens to me, too. I’m usually writing the post on Tuesday mornings and it’s usually when I’ve only had coffee and it makes ME hungry, too! 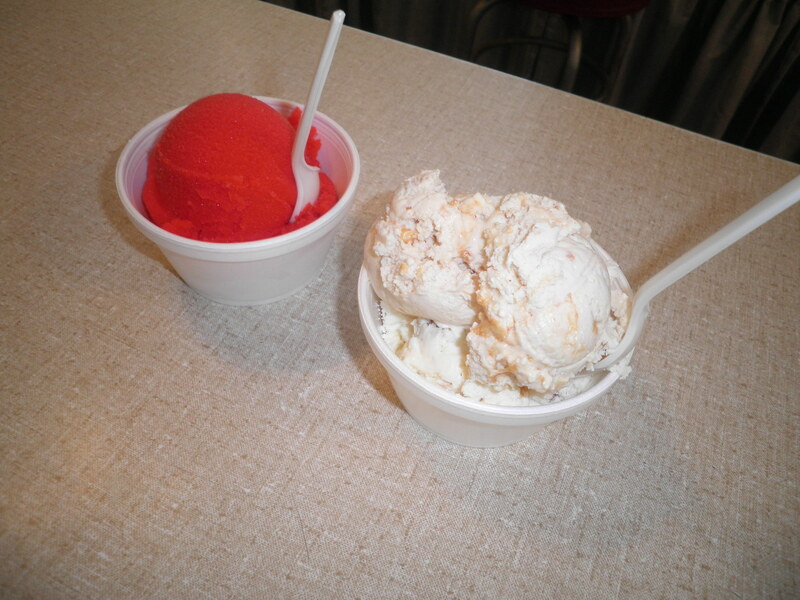 We have a wonderful ice cream shop just 4 blocks away. It’s pretty much my expected Saturday splurge. I work hard all week, right! Have a great day! Um. I would have to say that the ice cream on the right would totally be my pick. What an interesting-sounding flavor! And as for snacks– vegetables and fruit are basically the main staples of my diet so all of my “snacks” are made up of them too. The pasta dish looks cheesy and great. Putting the side veggies on top is such a healthy idea! Thanks, Madison…the 2 ice creams are delicious. This shop has quite a few interesting flavors considering it’s not very big. The caramel apple is new this year and it’s my favorite of the new ones. I have to search sometimes to get vegetarian choices at restaurants and this works well. I’m going to try it the next time I’m forced to eat at a steak house. Have a great day! They were both so good, Allie. So many times, veggie burgers are not very good in restaurants, but this was yummy. The eggplant parm was just what I was hoping for that day! You’d Love Ice Cream Kids!! I think it depends on whether or not restaurant veggie burgers are made in-house, sometimes you can just tell it’s a frozen morningstar or boca burger–I could have just bought and reheated that myself! But when they’re fresh and full of good ingredients? Mmm! I’m going to visit my friend Gail in Maine at the end of July. She’s been scoping out veggie choices for us up there. She found a regular restaurant that has 6…count ’em…6 veggie sandwich choices! She called me immediately, she was so excited! I’ll have to learn to use Instagram by then so that I can share them right away. Oh…yes, we intend to go at least 6 times so we can try everything!